Had the footballing fates not conspired so cruelly against him, there is every chance Angus Beith would have been busy preparing to represent either Hearts or Inverness Caledonian Thistle in this Saturday’s Scottish Cup semi-final. Instead, the former Boroughmuir High School pupil finds himself reflecting on the harrowing unravelling of his promising football career before it had even been given a proper chance to take off. Having been plagued for most of the past four years by a persistent hip problem – caused by extra bone on the ball and socket joint – Beith decided towards the end of last year he could no longer take the mental and physical torment of fighting against nature only to continue being met with the same old feelings of pain and deflation. Following several months of trying to get his head round this wretched scenario, it was announced publicly last week, just a couple of months past his 23rd birthday, that Beith had retired from the game to which he had hitherto devoted his entire life. While he is able to hold himself together and articulate his feelings in a mature and philosophical manner, it is clear the amiable Buckstone boy is still reeling from the realisation that he will probably never play football again at any level – even five-a-side with his mates. Although he has been battling the injury since 2015, when it first reared its ugly head during a loan spell at Stirling Albion, Beith had always maintained hope that he would overcome it. After undergoing a third operation a year past February, the initial prognosis was that all had gone to plan and Beith would be well placed to start fulfilling his undoubted potential at Inverness after he moved there last summer following several years on the fringes of the first-team at Hearts, whom he first joined as a ten-year-old from Hutchison Vale. Devastatingly for Beith, however, a realisation set in last autumn that he seemed destined never to banish this ongoing discomfort enough to do himself justice on the pitch. 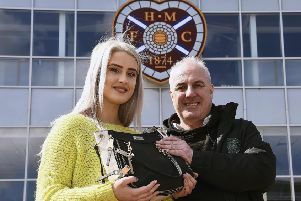 As someone who excelled as a combative midfielder during his time in Hearts’ youth ranks, the ongoing impact of his hip problem started to take a toll on Beith’s play whenever he felt able to take to the field. Over the closing years of his career, that was predominantly during short loan spells with Stirling, Stenhousemuir and Stranraer, or in development league matches for his parent club, with his injury and subsequent lack of durability playing a part in restricting him to just two competitive first-team appearances for Hearts, both coming as a second-half substitute in heavy defeats against Celtic under Ian Cathro in the second half of the 2016/17 season. “It wasn’t always pain,” he explained. “It was little feelings like a catching sensation in my hip when I changed direction quickly. At times, it would catch and I couldn’t move my leg properly. The restrictiveness of it was massive. Apparently about ten per cent of people in the world have it but it only really shows up in people who do sport at a high level. Sometimes I would feel it in the warm-up and I wouldn’t be able to play or I would struggle through a game. Then other times I would get through a 90 minutes and feel relatively pain-free. “Unless you go through it, it’s a very hard injury to understand. It’s not like a leg break or an ACL where the recovery’s all mapped out for you. Over the past few years, people have been asking why I was still able to run around in training and play well for Stranraer throughout it all, but it’s a difficult one because it comes and goes when it pleases. If Beith – who will be at Hampden on Saturday for the clash of his former clubs – is to make a name for himself in football, it now looks likely that it will have to come via coaching. Since retiring from playing, he has been given a part-time role coaching Hearts’ Under-12s and he is also helping former Hearts colleague Dale Carrick build his Box Soccer franchise, allowing him to maintain a link with the game he loves. 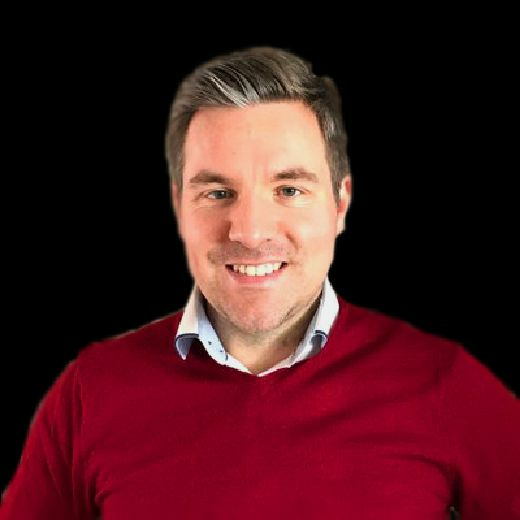 As he ponders the grim reality of being forced to hang up his boots and seek an alternative career path, Beith is aided slightly by the fact he has been doing an Open University degree in business management in sport over the past two years. “The degree gave me a focus and an escape from football,” he said. “I think if I’d been up in Inverness and just going home and playing the PlayStation, it would have eaten away at me massively. I had deadlines to meet and I think having that to work towards, something that I had a control over, was massive for my mental stability. I didn’t start on the course because I envisaged this happening but I was wary that I might not be able to play at the level I hoped, so I was thinking more about having a good strong qualification to fall back on if I ever had to go part-time. I’ve not really put a massive amount of thought into what I’m going to do next. At the moment I’m putting all my energy into finishing the degree and the coaching, which will be a long process with a lot of learning. Despite the possibilities that will present themselves for Beith as he adapts to a life away from being a professional footballer, there is little doubt that the pain of having to give up on his dream will linger long. “My mum and dad (Sarah and Stuart) have been affected by it,” he said. “They’re hugely disappointed for me because they’ve been there from day one. My mum was always in the car picking me up at the academy at 9pm most nights with my wee sister in the back of the car in her baby suits and things like that. I don’t forget that.